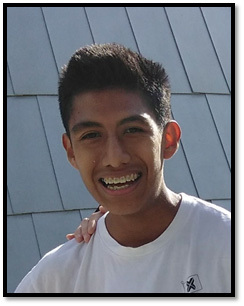 Andy was 18 years old a very outgoing smart young man, who loved to participate in the LA marathon every year. He was a very loving son, his moms’ right hand who always gave her the strength to fight every day for him and give him a good life and education. He was a student at Cal State LA and working to help out his mom (Evelia). Whom recently had a baby and was going to get married. He was so happy and looking forward to start a new chapter in his life.